This week I’m taking a break from working through the most common forms of theatrical lighting to bring you a Halloween special. This lighting rig is a popular lighting technique used in theatre and once popular in film and television although now more often seen in parody. 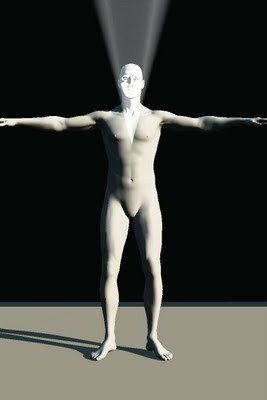 A light source shines from below and close to an actor’s face casting shadows from the chin, cheeks and nose upwards. The eyes are often left in deep shadow. The overall effect is disturbing and unnatural. On the stage positioning a light like this can cause some difficulty. 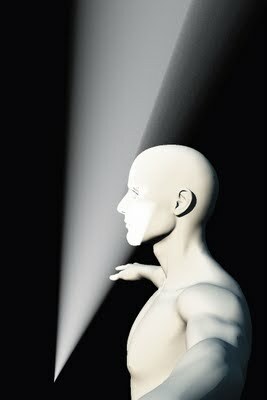 A bright torch held by the actor or a prop concealing the source may be used. Spill light often needs to be avoided or the effect can be spoilt. This effect can be very dramatic and the colour of the light can have a big effect on the mood created. 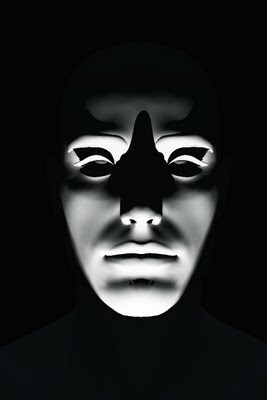 A powerful white can turn the face in to a mask while less power can make it ghost like. Blue light gives a cold icy look. Red is demonic and devilish. Green can be sickly and is often used for witches brewing at a cauldron.